M any expats and diplomats are surprised to learn that their domestic health insurance plans may not follow them while living or working internationally. 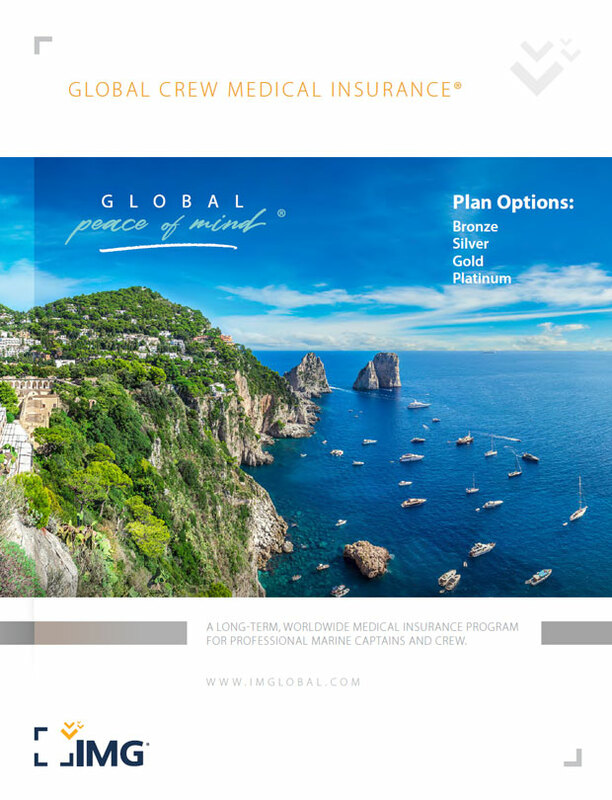 IMG's international medical insurance options include plans that have been designed specifically to serve the needs of expatriates and their families, and can provide invaluable peace of mind for globally mobile citizens. 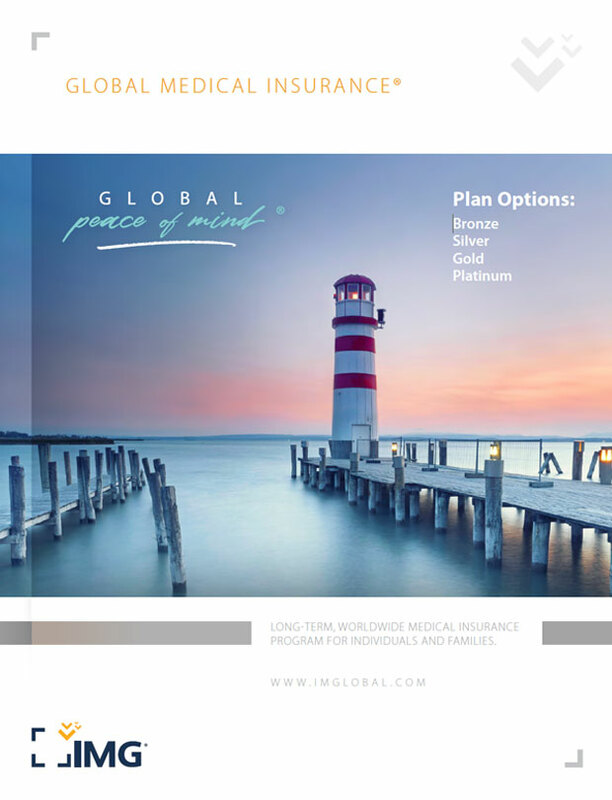 IMG's expatriate health insurance provides 24/7 global access to health care, and connects expats to important international medical services, such as the coordination of emergency evacuations. These plans can be customized to suit the needs of expatriate individuals, families and groups. With expat-friendly international medical coverage that's portable and comprehensive, it's easy for expatriates to get Global Peace of Mind®. Comprehensive, employer-sponsored group health insurance for internationally assigned employees. 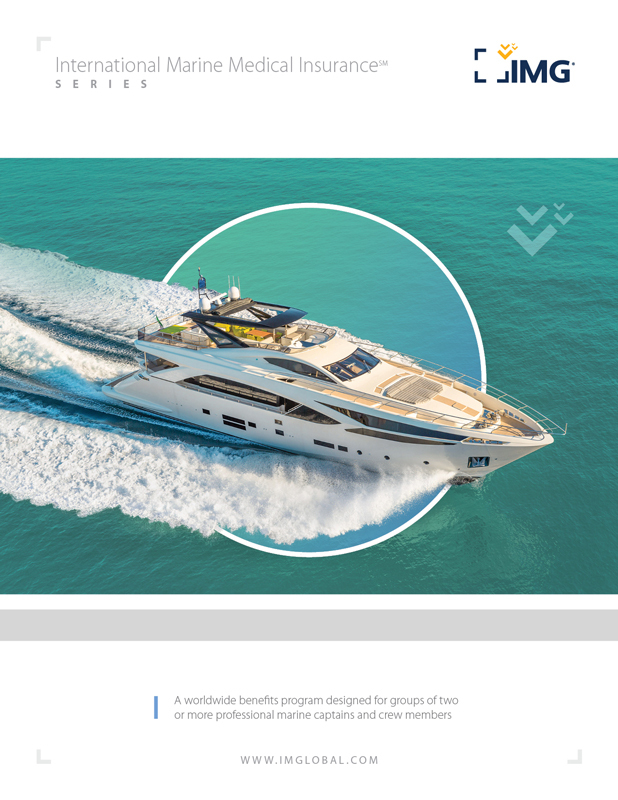 Long-term (1+ year) comprehensive medical coverage for professional marine crew. 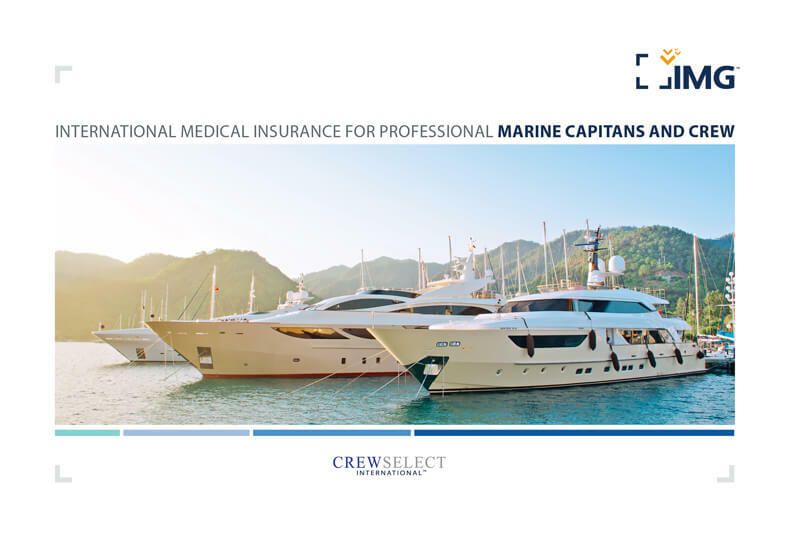 Long-term (1+ year) extensive international medical coverage for professional marine captains and crew members. Comprehensive worldwide employer-sponsored group health insurance for mission groups. Why Do I Need Expat Health Insurance? Before expatriates start a new life in a new country, it’s essential that they take steps to protect their health and well-being. While working away from home in Somalia, an IMG client who had purchased an expatriate insurance plan was involved in a motor vehicle accident and was sent to Kenya for immediate care. IMG arranged an evacuation and coordinated his return to his home country, where he received medical care at a facility close to his family. In another instance, an IMG client was working as a marine crew member and fell and broke her neck on the vessel. She was taken to a facility in Turkey, where she received emergency medical treatment. IMG then arranged her transfer to a facility in the U.K. for long-term care. Anything can happen when expatriates are living or working in another country. To protect their health against the unexpected, expatriates should consider purchasing international medical insurance specially designed for global citizens. IMG’s expatriate health insurance plans offer excellent coverage at a competitive price. Long-term individual plans can cost less than $100 per month* for a healthy adult. Value is just one of the many reasons this expatriate chooses IMG. Coverage becomes more expensive as you grow older, due to increasing risks of health problems. Choosing a coverage area that includes the United States increases the premium, due to the high costs of medical care in the country. IMG offers members a discount when they pay for coverage on an annual basis, as opposed to monthly, quarterly or semi-annually. Women typically pay higher premiums than men when they are in their child-bearing years, while men typically pay higher premiums as they age because they have a shorter life expectancy. The more coverage that’s selected, the more the plan will cost. Electing a benefits-rich plan and adding optional coverage will increase the premium. An expatriate’s health may be considered during the underwriting process. *Based on a healthy 30-year-old male purchasing a Global Medical Insurance policy from International Medical Group. Individual plan rates may vary based on your health and other considerations. Is Expat Health Insurance Required? When it comes to health care, expatriates have even more to consider before packing their bags and relocating to a new country. Depending on the destination, some expatriates may need to consider country-specific health care regulations when researching coverage options. Some countries require residents to maintain local health insurance, while others may allow expats to purchase their own international health insurance. The United Arab Emirates, for example, requires health insurance for all short- and long-term visitors, including expatriates. While not all countries require expatriates to purchase international medical insurance, in most cases, it’s wise to have some level of supplemental coverage. Learn more about the importance of expat health insurance by reading a testimonial written by one of our members. What Does Expat Health Insurance Cover? This benefit provides coverage for an emergency medical evacuation to the nearest qualified medical facility and expenses for reasonable transportation resulting from the evacuation. The Emergency Reunion benefit provides coverage for the reasonable travel and lodging expenses of a relative or friend during an emergency medical evacuation: either the cost of accompanying you during the evacuation or traveling from his or her home country to be reunited with you. If a covered illness or injury unfortunately results in death, this benefits provides coverage for repatriation of bodily remains or ashes to your home country will be covered; or for the preparation, local burial or cremation of your mortal remains, at the place of death. Available on the Global Medical Insurance – Platinum plan, this benefit covers the costs of transportation to the nearest place of safety or for repatriation to your home country or country of residence if certain conditions are met. Also available on the Global Medical Insurance – Platinum plan, the Maternity benefit provides coverage for pre-natal care, delivery, post-natal care and newborn care. This benefit, typically available once you have maintained continuous coverage for a specified period, provides you coverage for pre-existing conditions that may have been excluded from coverage on other plans. What is the definition of a "Qualified Expatriate"? What is the Definition of an "Expatriate Health Plan?" I am a U.S. Citizen. Am I eligible for your Global Medical Insurance (GMI) plan? 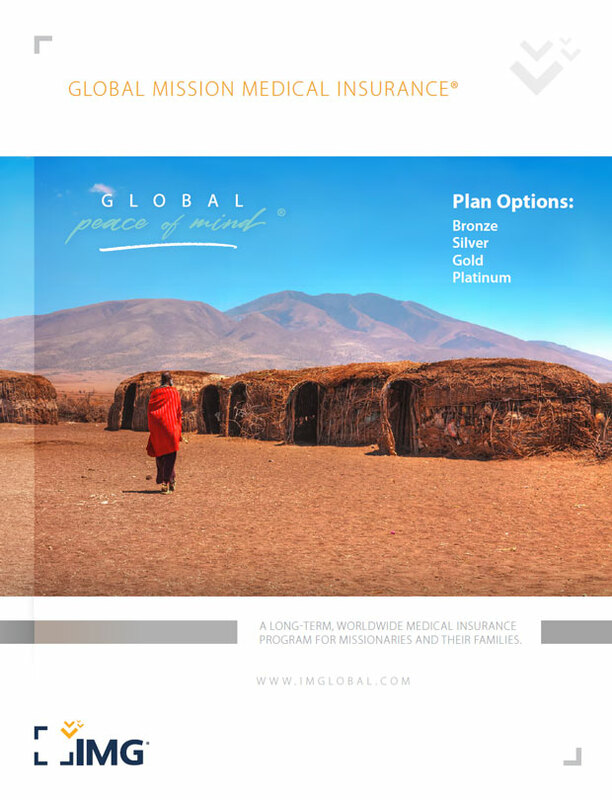 You are eligible for our Global Medical insurance plan if you reside outside of the U.S. or have a good faith intent to reside outside of the U.S. for six months or more in a calendar year. Please note that IMG’s Global Medical Insurance Plan does not meet the definition of “minimum essential coverage” under PPACA. GMI is not intended to provide U.S. citizens residing in the U.S. with health insurance. While your GMI plan for worldwide coverage will not be affected by PPACA, you should review the information below to see if you are exempt from the requirements of PPACA or not, and whether you will have to pay a tax penalty or not. Under PPACA, all U.S. citizens, nationals and resident aliens will be required to purchase minimum essential coverage (PPACA compliant coverage), unless they are exempt. Exempt U.S. citizens include U.S. citizens who reside outside of the U.S. The exemption applies to a U.S. citizen who has a tax home (main place of work or employment, or if you don’t have a main place of work or employment, your main residence) in a foreign country, and is a bona fide resident of a foreign country. See details under the IRS foreign earned income exclusion test. If a person was required to purchase minimum essential coverage and did not, she/he would be required to pay a tax penalty for not purchasing PPACA coverage (if she/he files a U.S. tax return). In many cases, this tax is far less than the premiums that a person would pay for obtaining PPACA coverage.